The Best Beaches in Florida aren't neccesarily where you think they are. Check the Hotels in Vero Beach before you plan your Florida vacation on the Gulf side of the state. There is a lot more advertising happenning for the Tampa Bay area and the Gulf region in general but cut across the state on Route 60 and you will find a real ocean with waves and water. Most people think of Clearwater, Siesta Key, Naples, Daytona or Panama City when they think of the best beaches in Florida. Now 4 of those are on the Gulf of Mexico and the other is on the east side of the state north of Orlando. While they may be nice areas for a short crowd watching type of beach experience if you want to relax and enjoy uncrowded beaches you need to give the Treasure Coast region a good look. The Treasure Coast is the area south of the Space Coast, by Melbourne, but north of the crowds of West Palm Beach and South Florida. 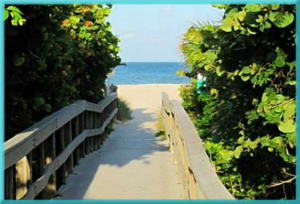 Vero Beach is ideally situated between the two. Right between the Ft. Pierce inlet and Sebastian inlet lies some of the best beaches in Florida and they are uncrowded with water that can be tropical blue. There are times when it gets sandy and looks more like Daytona but that is usually short lived. The water in Melbourne and north can be murky or sandy more often than not. Here though you can get that tropical water which does not happen in Daytona or further north. 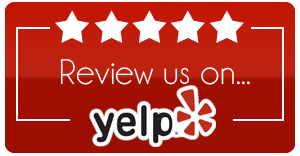 There is a lot that the Vero Beach, Florida area has to offer. There are great places to shop, nice restaurants and the natural beauty of the Atlantic and the Intracoastal waterway. The choices for recreation are endless. You can go golfing at a multitude of courses. There is horseback riding nearby. You can go deep-sea fishing or fish in the surf. When the waves are right you can go surfing or boogie-boarding or you can just stroll the beaches looking for seashells. Our Vero Beach hotel is on the quieter part of the island. 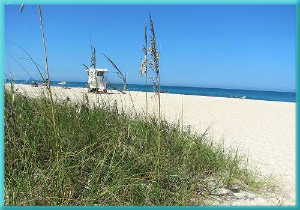 We are right next to South Beach Park which is the city beach with the widest sand beach in the area. We have lifeguards 7 days a week at this park and it is great if you have kids or are a little timid with the ocean. Its nice to swim with someone looking over you. The park has vending machines, bathrooms, barbeque grills and volleyball courts on the sand. The park is seperated in that the grills and restrooms are divided by wild jungle growth and you walk over a boardwalk to get to the sand and water. The people that have found out about this area come back year after year. The busiest weekends are like a mild day at the aforementioned locations. Most of the time you can get some seclusion pretty easily. For instance, the Hotels in Vero Beach that are on the barrier Island are all within walking distance of a beach with Lifeguards as well as long stretches of beach where you can be the only person on one of the Best Beaches in Florida. Click the boardwalk image to see our rooms and rates then give us a call to make your reservation.